Did you know that The Mountaineers offers active volunteer-led adventures around the world? An exciting new trip – hiking and trekking in the Alps of western Austria – has space for you! Discover Austria! 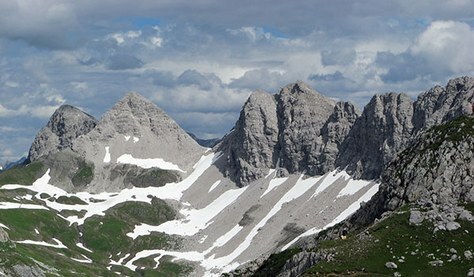 Join us on a Global Adventure where we will be hiking in a little-known area of the Austrian Alps. Hike the European way: combine stunning scenery with uncrowded trails, comfortable lodging, tasty cuisine, and high mountain huts. We’ll wander through alpine meadows and across rock slopes, have lunch at scenic huts, reach high tarns and passes, and see breathtaking views. Learn how trek the mountains traveling hut-to-hut! We will be hosting several information sessions for this trip, which will include hiking photos from the region we will be visiting.